Podcasts are about to break into some new territory. Commercial Radio Australia and Beijing Jolon Digital Media Broadcasting today announced plans to develop a DAB+ digital radio application that will allow podcasts to be sent via the broadcast band directly to a listener’s radio, without the need to connect to the Internet. The technology, called Push Radio, will send an audio file directly to a DAB+ digital radio receiver via the airwaves, instead of requiring listeners to connect their iPod or mp3 player to the Internet or to sync via an Internet-connected computer. The two organisations will set up a task force to test the current technical standards for DAB+ and DAB+ Push Radio and hope to have a trial of the system in Australia late in 2010. “To free listeners from the necessity to connect to the Internet to receive podcasts and other specific information and targeted programming is a major step forward for DAB+ digital radio,” according to CRA’s Joan Warner. What do you think of CRA’s plan to deliver podcasts via digital radio? Is this the future of podcasting or the last hurrah for radio? This technology is almost senseless. With the growing number of cars being equipped with in-car wi-fi, we will have internet connectivity in our automobiles in a few years which will ultimately make this technology irrelevant. With smartphone sales growing exponentially year to year, there is yet another reason this technology is dead before it even gets spec’d out. Yawn. Commercial radio is so boring, this is boring…yawn. Independant podcasts are much more fun. Support your podcaster, tell them you love them! Although I like to listen radio cause of the news, this will be Big!! But is this really podcasting or just another form of digital radio? There’s no RSS feed involved so technically it’s not a podcast. Besides, isn’t radio suppose to be a step up from podcasting? This is huge! Integration is key to everything! 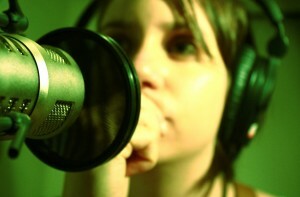 Great plan and just another avenue for podcasters to be able to utilize! FOLLOW THRU!!! When I first got in to podcasting and listening to Adam Curry’s podcast, he was able to organize and use a spare channel of Sirius satellite’s bandwidth at the time and had a channel of nothing but member podcasts that people could just tune in and listen with their satellite receivers. Of course on satellite, however, it was not subject to censoring rules then.